Jello shooters are my favorite type of shot… They taste delicious and go down easy — perfect for getting the party started! 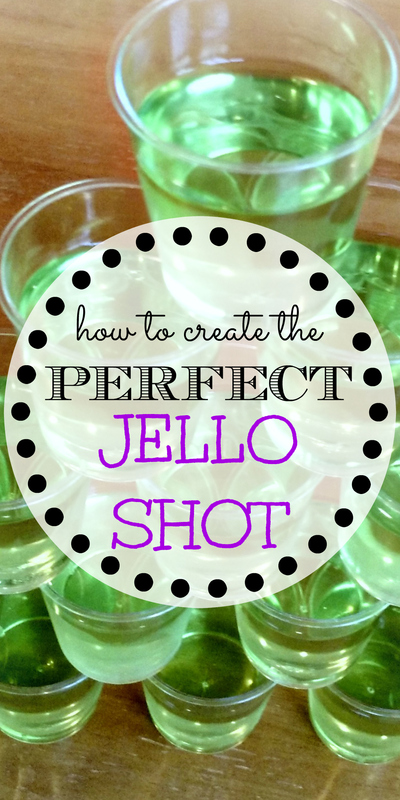 It took me many years, many half-set shots, and even a few straws and bowls to perfect the perfect jello shot! Some have even referred to me as the Jello Shooter Queen… and now my friends, it is time that I shared this knowledge with you! All you need to do, is follow the directions on the back of the jello pack, but replace the cold water with Vodka or Rum. Next fill your disposable shooter cups. (I usually get about 24 shots per package of jello)… Chill in the fridge and let set for at least 2 hours. Serve and enjoy! Tip: I always mix my jello shots in a large measuring cup… this way, they are easy to pour into the shooter cups!